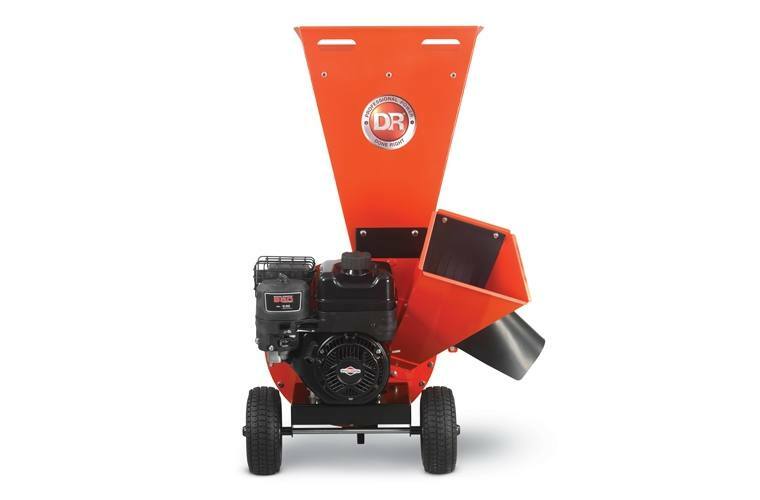 Lightweight and Portable: Easy grip handles on the shredder chute and lightweight construction (126 lbs.) 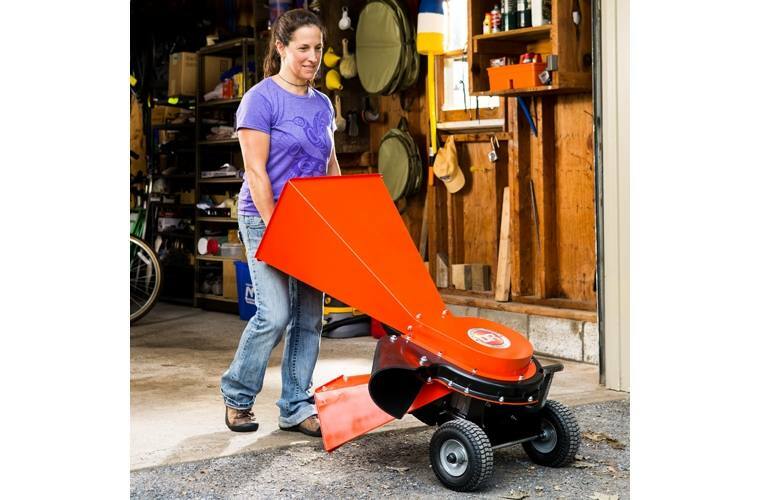 make for easy maneuvering—around your yard or in and out of storage. And its compact footprint lets you stow it anywhere, even where floor space is limited. Compact Powerhouse: Don't let its size fool you. 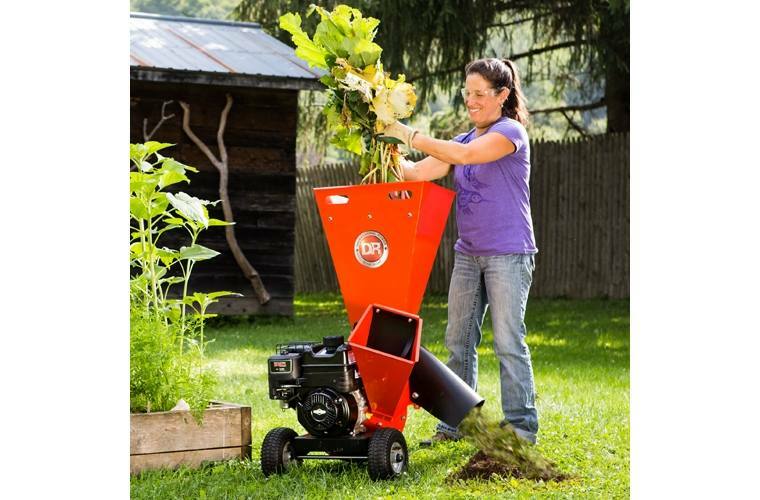 This machine has serious power and will make short work of branches up to 3" in diameter, and armloads of yard and garden waste up to a half inch in diameter. It's nimbleness makes it a great choice for working in heavily landscaped areas. 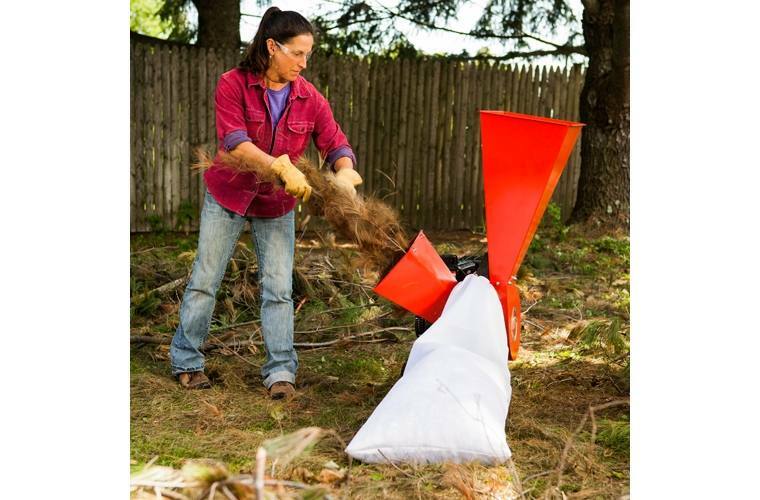 8 Free Swinging Hammers: Shredding is accomplished by 8 free swinging “hammers" that mash and pulverize materials into a fine organic mulch that's great for recycling into your landscape—either by tilling into your garden or feeding to your compost pile. 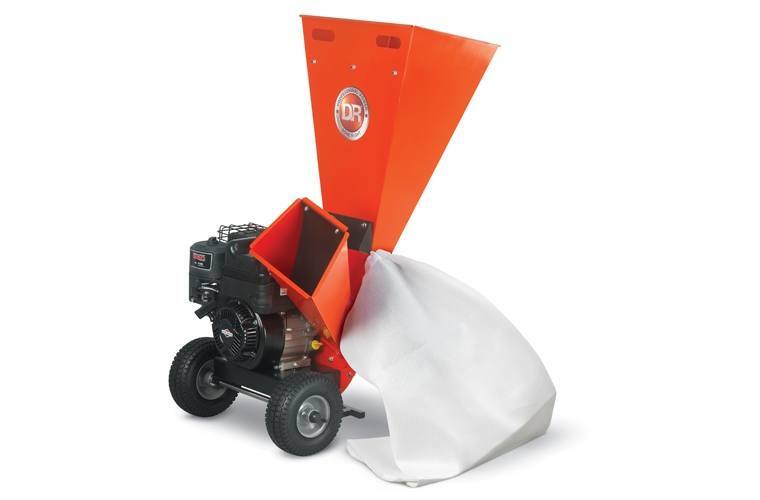 2.5 Bushel Debris Collection Bag: Included with your chipper, this durable bag with drawstring fits around the discharge chute and is great for use around flowerbeds, carefully maintained lawns, or any other place where you want to control the discharge and keep things tidy. Briggs and Stratton OHV Engine: The legendary power, performance and durability of Briggs & Stratton® engines make them the only ones we use on our DR Chippers. 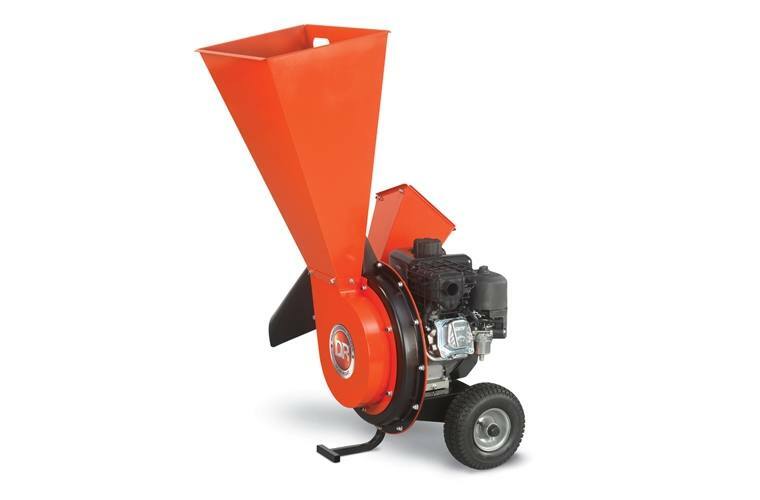 The 9.5 FPT Chipper Shredder uses a durable 208cc Overhead Valve, easy-starting engine. It features a debris management system that protects the engine from whatever you kick up while you're chipping and shredding. “Kickstand" provides Stability and Mobility: Designed for maneuvering around your yard easily, the “kickstand" makes it easy to transition between travel mode and work mode. Just lie it back on its wheels (like a mover's dolly) to travel, then rest it on the kickstand when you're done. Pro-Spec™ Chipper Knife: Made of high-carbon/high-chromium forged alloy tool steel, our knives hold an edge longer than those on "bargain" chippers.. Still, as with any cutting tool, keeping a sharp edge is important for maintaining peak performance. We recommend keeping an extra on hand so you can minimize downtime. Hopper Opening Size: 7.25" x 7.5"
Shipping Dimensions: Box 1: 24" x 22" x 26" Box 2: 18" x 23 x 28"
Shredder Hopper Opening: 18.5" x 12.75"